Just living my best life with a camera in one hand and snacks in the other. Myra and I first met at the gym and I knew I liked her right away. She’s witty and kind and doesn’t seem to mind that I’m a decade older than her. 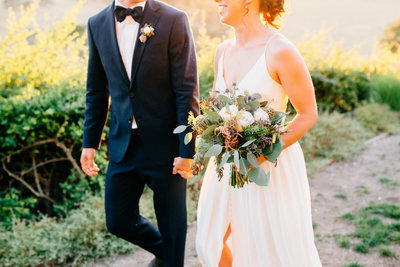 Fast forward a few years to Myra getting engaged to her high school sweetheart, Zac. I’ll refrain from commenting on his AMAZING hairs. 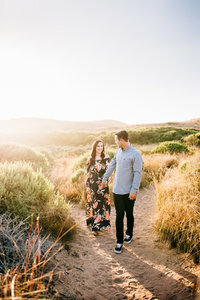 Their engagement session at the Oceano Dunes near Pismo Beach was mostly cloudy but the sun came out for 6 minutes right at sunset and we all shrieked with delight. Shrieking at the dunes. 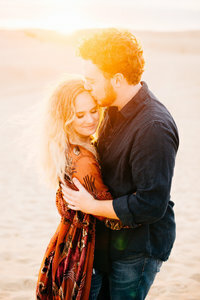 Looking forward to this fun couple and their Atascadero wedding in less than one month! COME ON now! Let's work together. FEEL FREE TO SLIDE INTO MY DMs. I'm happily living in San Luis Obispo, California. Available for travel if there's a comfy bed and people having the time of their freaking lives.